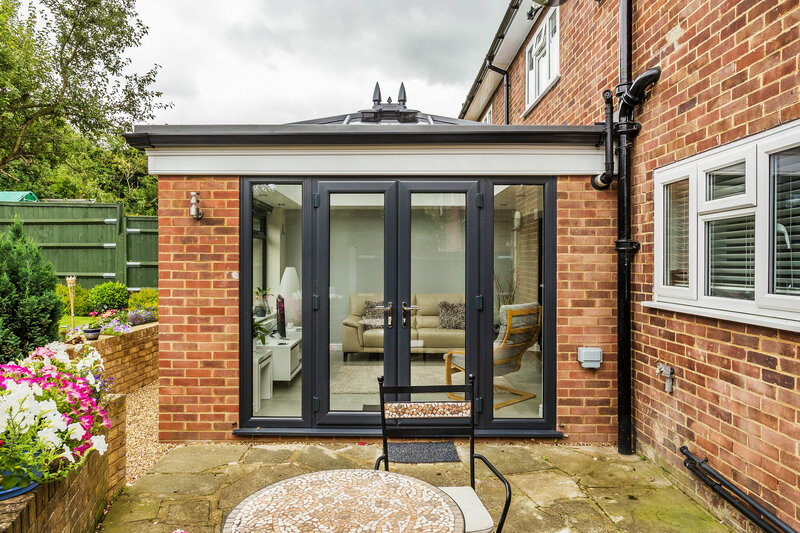 Castle were able to manage all aspects of the orangery extension project, for a traditional looking room which I desired and externally, for the extension to match the appearance of my home. Mr Bridson from Croydon approached us because he needed more room. He had limited space available, so needed us to build an orangery extension that would waste no square inch in its design. The room would be open-plan in aspect – comprising a dining area that led into a lounge, then the garden. A traditional looking room was desired. Externally, the extension would need to match the appearance of Mr Bridson’s home. The brickwork would need to be the same so that the two structures blended together rather than clashing. We ran some ideas past Mr Bridson, who was keen to progress. We were able to manage all aspects of the project so that Mr Bridson only ever needed to worry about one point of contact. 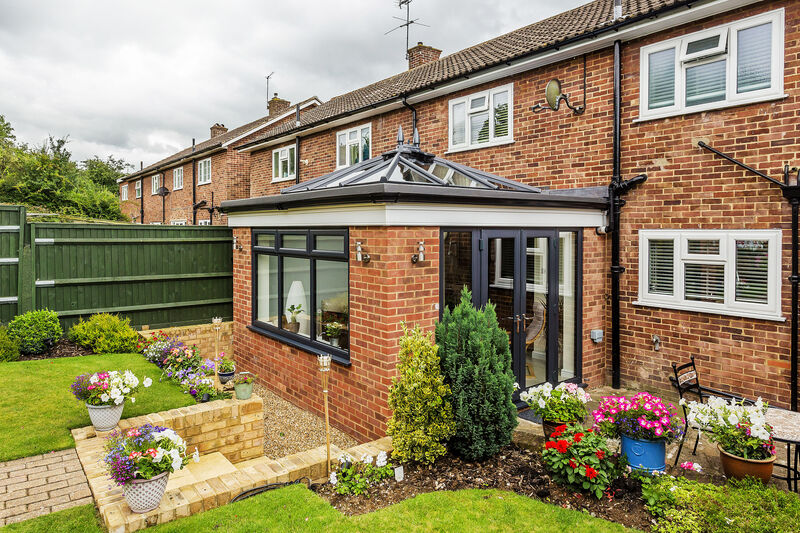 Our recommendation was to build an orangery extension that featured a stunning roof lantern. Masonry would be used to maintain privacy and create a sense of solidity. The completed arrangement met our customer’s approval – both in terms of aesthetics and performance. High-grade materials were used throughout the build of the orangery to ensure quality. You can take a tour of a lantern orangery extension by using our Virtual Reality Tour app. We consulted closely with Mr Bridson to identify his requirements. The project was delivered on time and within budget. Here are the steps that we followed to ensure the roof lantern orangery was delivered to our customer’s specification. 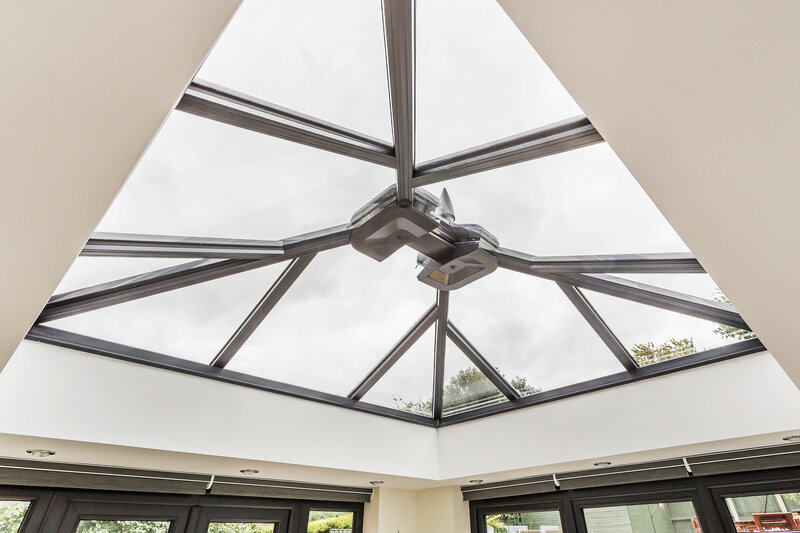 We chose a modern lantern roof style because of its lack of chunky bars and ridges. The mostly glazed surface of this system creates fewer impediments to light. As a result, the different areas were better connected, along with a sense of space. Illumination is also provided by way of high-quality uPVC windows and a French door that leads visitors into the garden. At no point does the lantern orangery extension feel dark or too enclosed. It is connected internally and externally but still feels like a private space. The open plan design we created for Mr Bridson enables him and any guests to navigate between the internal and external spaces without any problem. The structural opening that separates the dining room from the lounge also links the two areas together. Each space has its own identity and visibility is maintained throughout. People can sit at the dining table and eat while conversing with those who have retired into the lounge to enjoy drinks. Those who want to mingle in the garden will still be visible from inside. 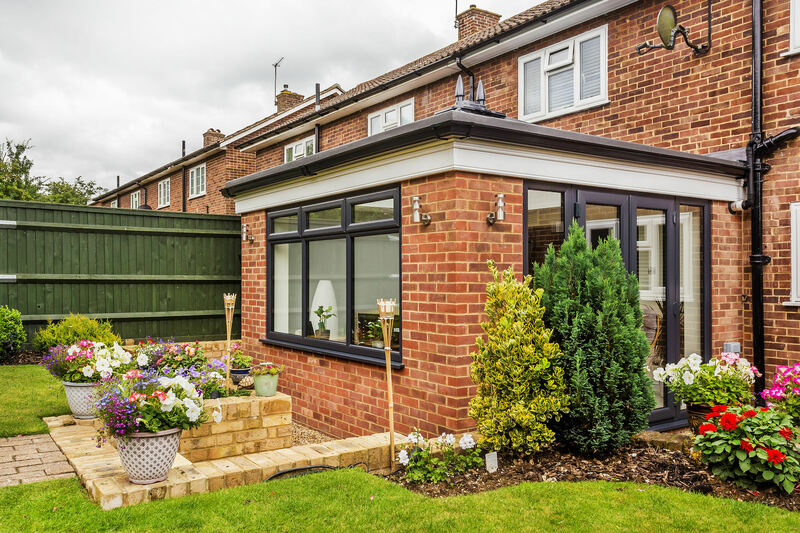 Mr Bridson wanted his lantern orangery extension to look like a continuation of his home. To make sure this objective was achieved, we used the same brickwork. After work was completed, it was impossible to tell the home and new structure apart. 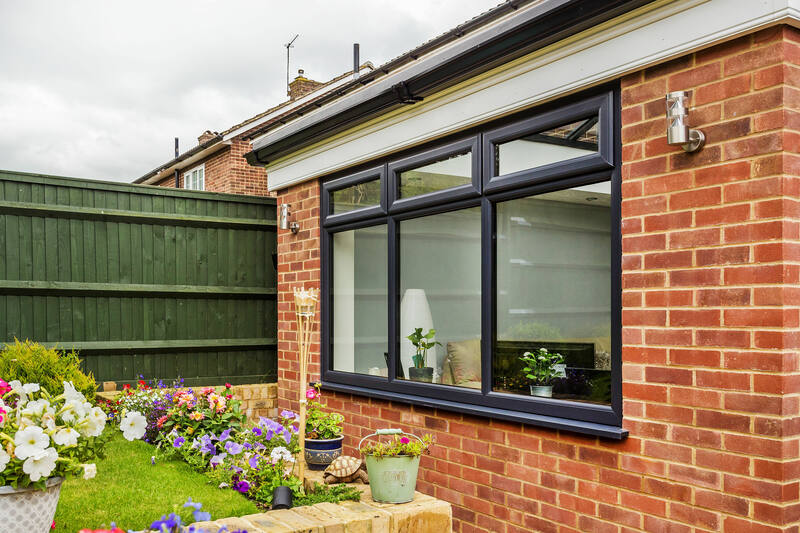 Anthracite Grey uPVC frames were used to add a modern touch to the most traditional design. Guttering was hidden using a decorative aluminium cornice that accentuated the orangery extension’s flat roof. The completed aesthetic was stunning. 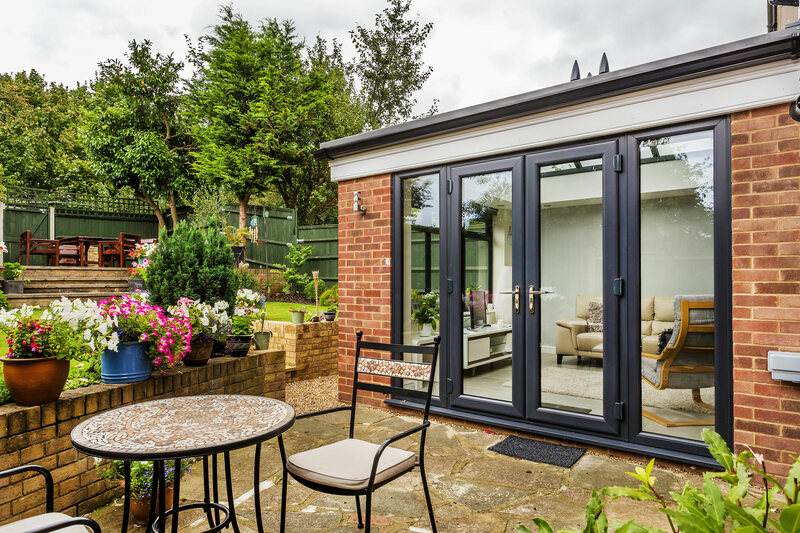 Mr Bridson did not need to worry about managing multiple contractors, We designed the lantern orangery extension for him, got planning permission and building regulation approval for the structure, and recommended the best products. We laid the foundations and built the entire structure from the ground up. Our fast and efficient approach meant that the work was completed according to the agreed schedule. We communicated at all stages of the process to keep Mr Bridson informed. We only use products made by the UK’s best manufacturers. Your roof, doors, windows – and any other item we include as part of your design – will be built to last and add value to your home. Are You Ready To Start Your Design Journey? 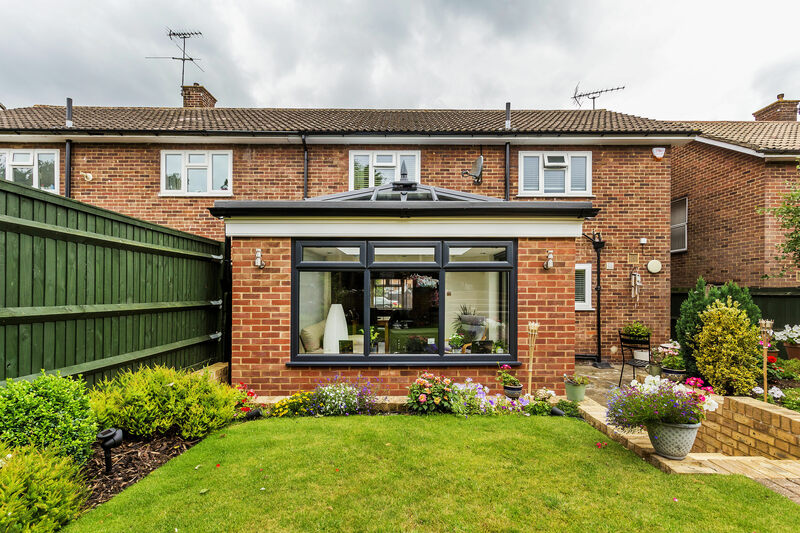 If you have your heart set on an open-plan orangery extension like the one featured in this case study, we can help. Castle will help you create a room that responds to your design requirements – whatever the scale or brief. 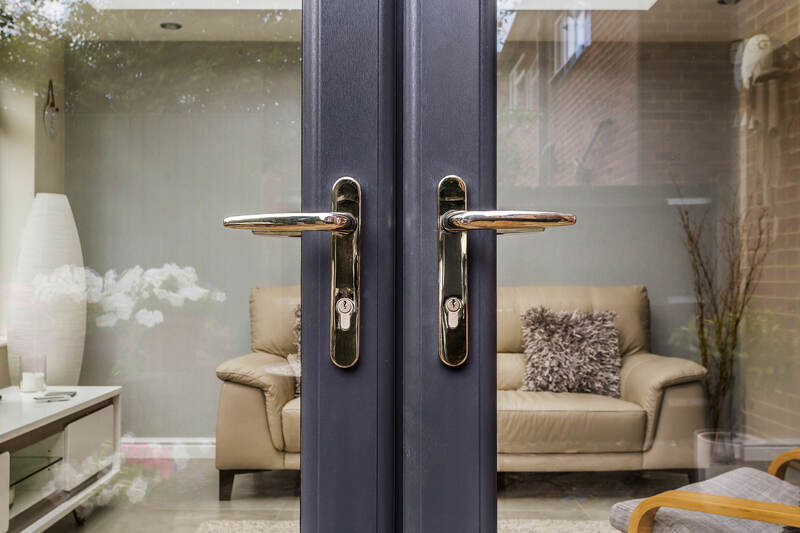 Contact us for expert advice or explore one of our Ultraframe rooms from the comfort of your own home – or even while you’re on the move. 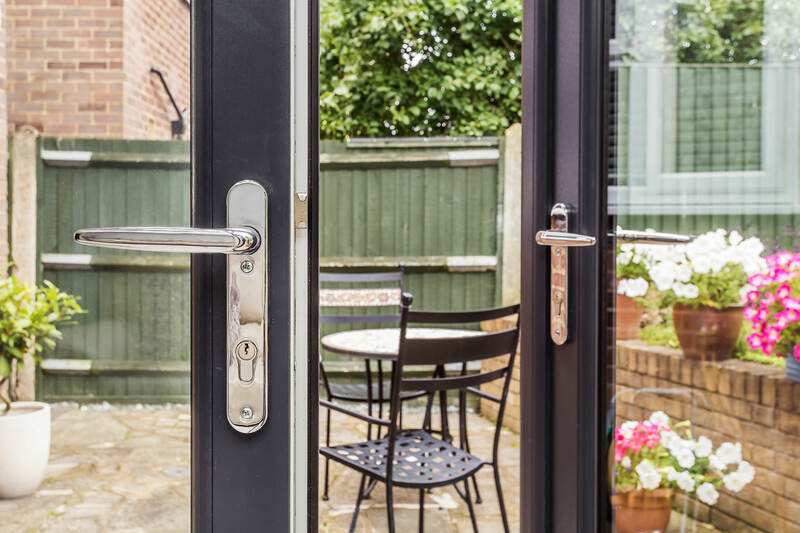 Access our Virtual Reality Tour app to look around or use our orangery cost calculator in a matter of minutes.